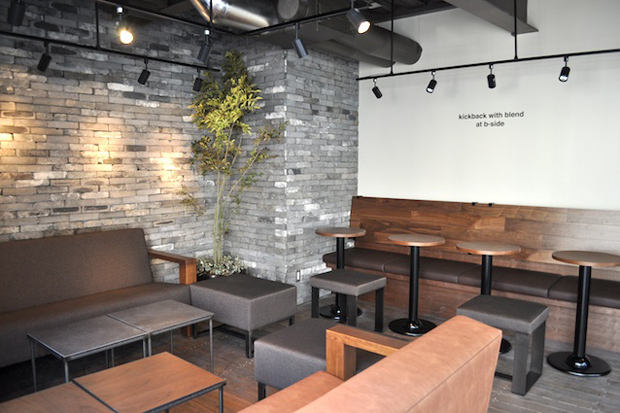 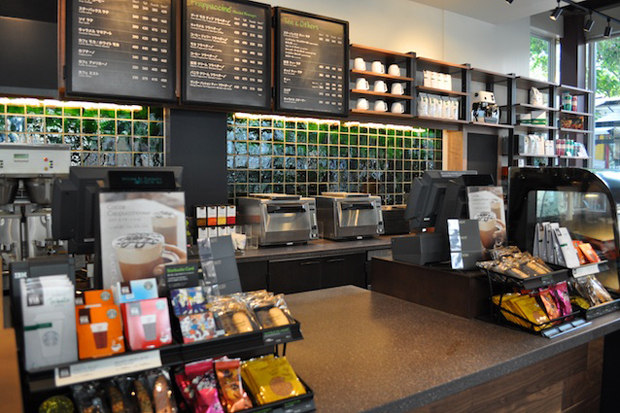 Starbucks has just opened up a new concept store in Tokyo’s upscale Omotesando fashion district. 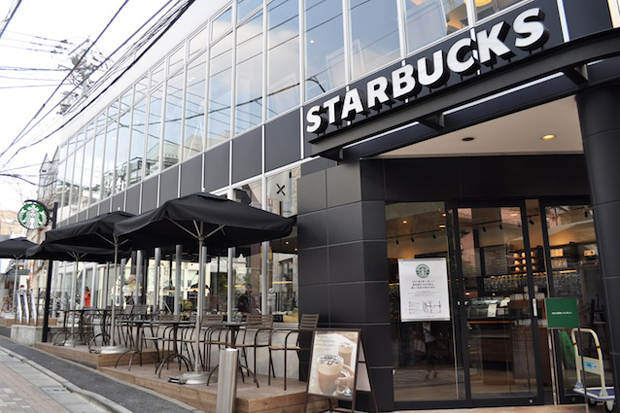 Designed by Hiroshi Fujiwara, who is often referred to as “the godfather of Harajuku,” the two-story store is called “b-side” and has a unique layout that’s unlike any other Starbucks location in the city. 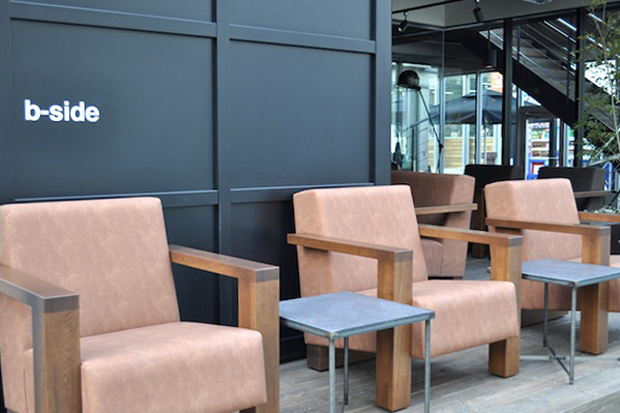 Large wraparound glass windows allow for plenty of natural light while earthy materials like long wooden counters, benches and stools add a warm, urban feel. 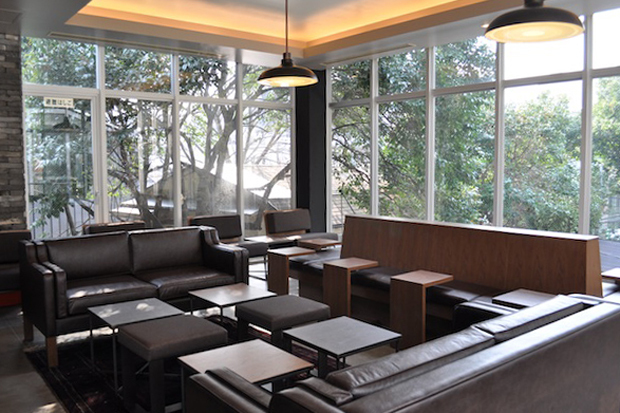 The actual b-side area of the shop also features a sliding door and stylishly designed lounge furniture, inviting patrons to have a seat and relax. 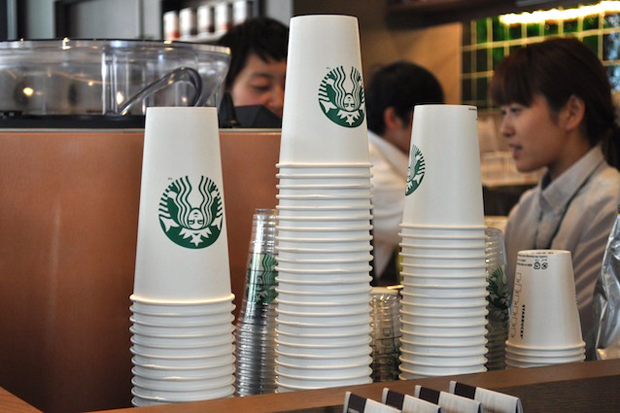 A neon tube light sign on the wall of the shop bears the slogan “Careful, the beverage you’re about to enjoy is extremely hot,” a playful reference to the wording on Starbucks mugs. 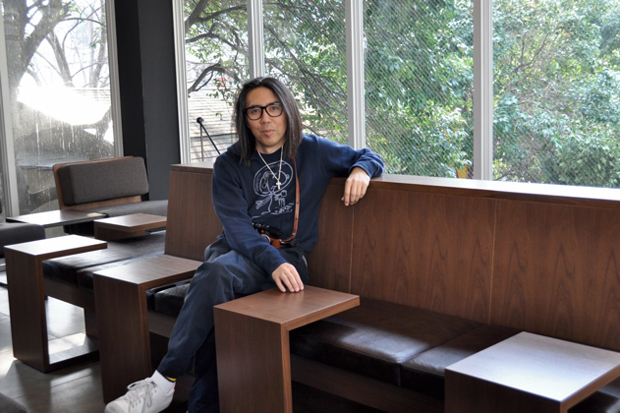 Offering a selection of fashion and design books for customers to browse, the store also plans on selling mugs and limited edition goods available exclusively to b-side.